"With a background in children’s literature, plus a GRAMMY® nomination for his kids’ songs, Zak Morganbrings all of his life experiences and a simple delight in words and music to his fourth family music album, The Barber of the Beasts, available on October 30 from the new Universal Music Enterprises label myKaZoo. Zak is the latest artist signed to the label, and he will join fellow artists on the roster for a PBS TV special airing this holiday season. His music videos are in high rotation on myKaZooTV." What we thought: This is a fun CD that offers up a great variety of music...a fantastic way to introduce kiddos to many different styles of music. 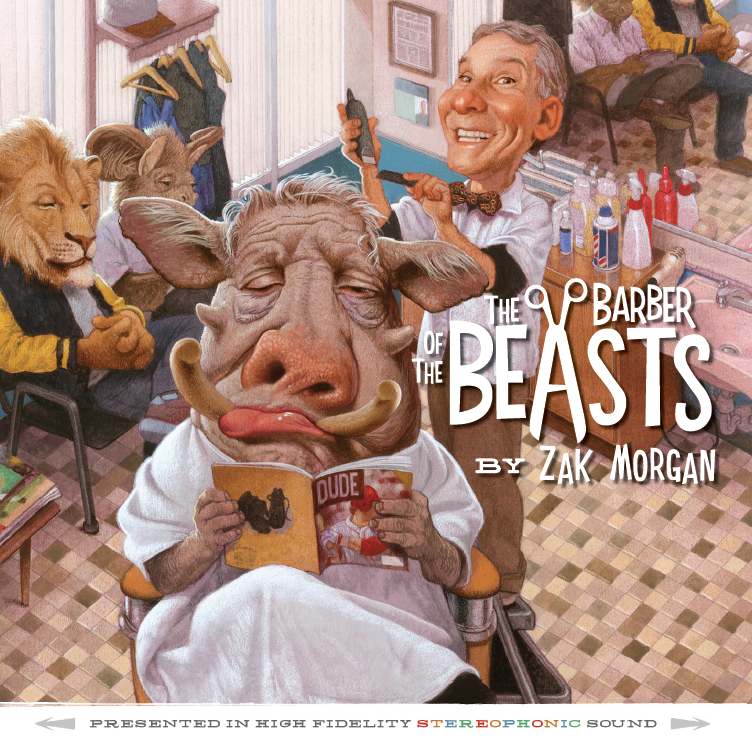 These songs are educational and funny, the perfect combination in my book:) ABCD Diaries gives "The Barber of the Beasts" an A+!